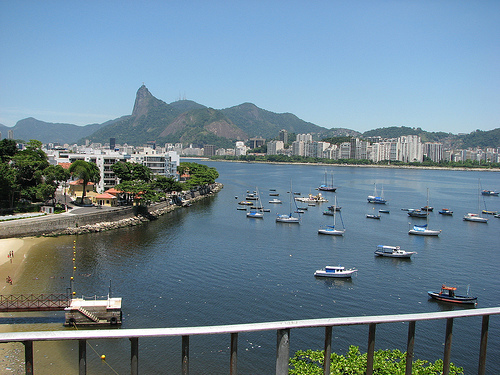 Enjoy a trip to Rio de Janeiro. This fare won’t last long. Valid for travel until February 29th, 2016. Must purchase at least 3 days in advance of departure and by April 23rd, 2015 — TODAY! Support us by using our Expedia link to book with dates found on ITA Software Matrix Airfare Search. Select “Multiple Destinations” and enter each segment individually : LAS-MEX, MEX-GIG, GIG-MEX, and MEX-LAS. 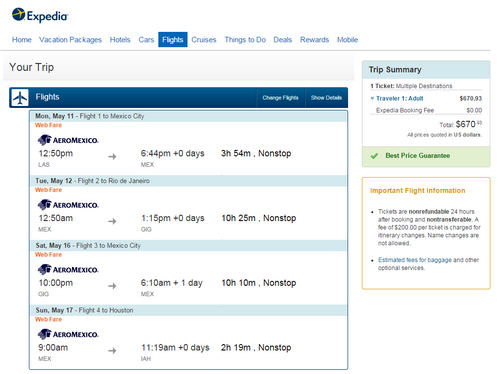 Select “Advanced Options” and then under “Preferred airline:” select “Aeromexico” to price this out. ITA will pull up fares of $675, whereas Expedia will bring up fares of $671.